President Trump’s budget proposal would place an undue burden on Idaho’s budget, as the state continues to dig out from the effects of the Great Recession. That’s what the Idaho Center for Fiscal Policy said Tuesday, in a first-day analysis of Trump’s 2017-18 budget. Idaho public schools would take a $16.1 million hit if the Trump budget passes, the center estimated. Idaho received $264 million in federal education dollars in 2016-17. The Trump budget would cut the U.S. Department of Education budget by $9 billion, a 13 percent decrease. The budget would zero out federal teacher training grants and funding for before- and after-school programs. The impacts go beyond these two programs, the center said Tuesday. 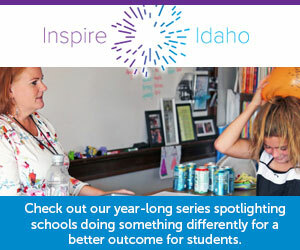 Idaho would lose funding for special education and Title I programs for high-poverty schools. Idaho college students would stand to lose $1.2 million in federal work-study funds, a 50 percent reduction. The Idaho Center for Fiscal Policy is a nonpartisan, nonprofit group that analyzes state budget issues. More reading from Tuesday: Details about the Trump education budget, and reactions. State superintendent Sherri Ybarra’s about-face. The issue received a one-sentence mention Tuesday night. One topic did not: the fate of the “Dreamers,” students and adults in the United States under the Deferred Action for Childhood Arrivals program. On Tuesday, state superintendent Sherri Ybarra invited Education Secretary Betsy DeVos to come to Idaho and see the effects of potential budget cuts firsthand. Six weeks earlier, Ybarra’s tone was dramatically different. The Trump budget proposes a $1.4 billion shift into school choice programs. In an about-face, Republican state superintendent Sherri Ybarra said the proposed $9 billion in cuts are unacceptable. The White House will release its 2017-18 budget proposal Tuesday. President Trump wants to cut the U.S. Department of Education budget by 13 percent. President Trump wants Education Secretary Betsy DeVos to scrutinize the feds’ role in K-12. Ultimately, however, the process could prove to be more symbolic than substantive.